Features of propane conversion for selective olefin production in the presence of nanofibrous aerogel materials have been studied. 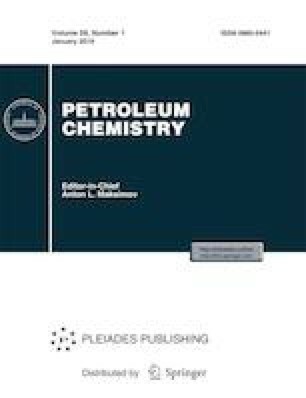 The effect of modification of aerogel alumina with titania and silica on the catalytic activity and the olefin selectivity in propane conversion at atmospheric pressure has been shown. Low-temperature nitrogen adsorption has revealed that these catalysts have a developed specific surface area of about 300 m2/g; water vapor adsorption at 293 K has shown that materials of this type contain 0.2–0.6 mmol/g of acid sites. X-ray diffraction analysis and transmission electron microscopy have revealed that the synthesized materials are an amorphous aerogel with tangled fibers with a thickness of ~6 nm. This work was supported by the Ministry of Education and Science of the Russian Federation under the Program for enhancement of the competitiveness of the Peoples’ Friendship University of Russia among the leading research and educational centers of the world in 2016–2020.